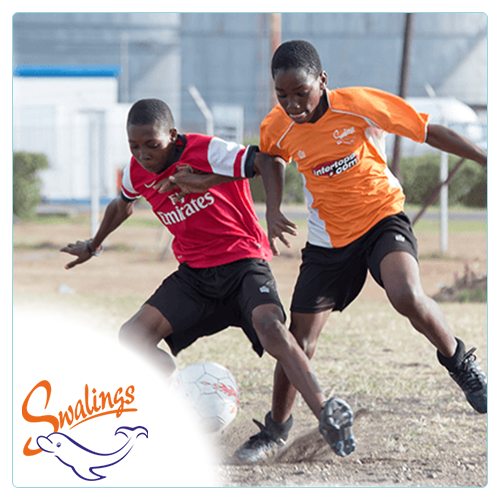 At Swalings we believe the younger you start to play any sport the better, it’s in your formative years that you start to develop your motor skills, co-ordination and cognitive behaviour. Our 2-4 year old classes are unique in Antigua in that we start coaching younger than anyone else. 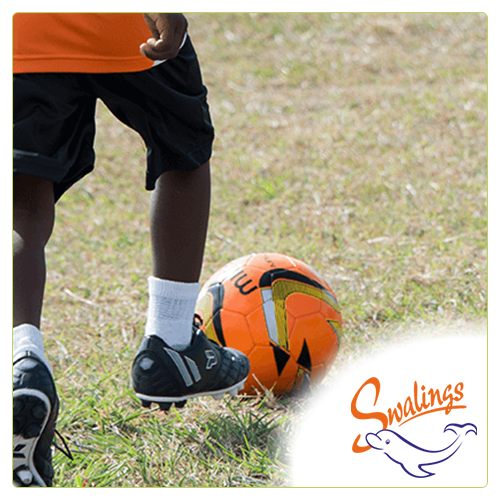 With a ball at their feet in every session, your child’s progression and growth will have excelled beyond their peers by the time they reach the 4-6 year old class as they have started at such a young age. The classes are 30 minutes long and we make sure we maximise every second. In the classes we focus on, listening and taking instructions, basic passing and receiving, shooting, dribbling as well as helping develop your child’s basic motor skills and co-ordination through fun and active football based activities. You can check out the timetable here. 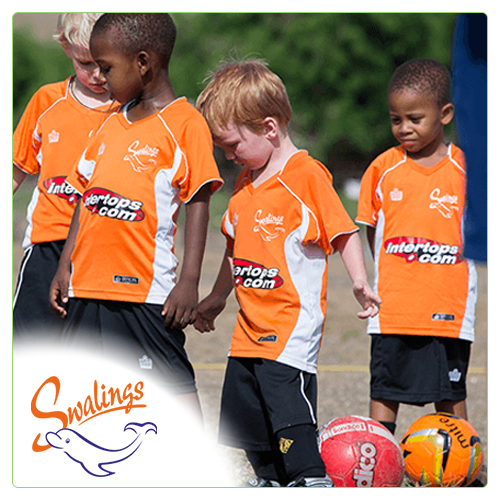 Our 4-6 year old class is where children get their first real taste of playing football. Still teaching the same basic principles of football learnt in the 2-4 year old age group, the 4-6 year olds now get the chance to put their newly developed skills into practice by playing games against each other at the end of each session. We also start introducing the skills of goal keeping and heading the ball in this age group. For the 4-6 year olds there are two 60 minute sessions a week to participate in. You can check out the timetable here. This is the age where children start to fall head over heels in love with the sport of football. The children start to soak up every ounce of the ‘beautiful game’ they can, from watching their heroes on TV to trying to copy them on the pitch. With the 7-10 year old football classes we look to develop their creative side. Learning new tricks, starting to use both feet on the ball, and having a go at practicing those flicks and tricks they see on TV. This is also the age group they start to understand the positional side of the game and we start to teach the different positions and where to stand on the pitch, from goalkeeper to the strikers. We ensure the children get a chance to try out every position from defence to midfield to striker, so they can understand every role in the team. This helps develop their understanding of the overall game and working together as a team. We also start to introduce friendly matches against other teams as well entering various leagues and tournaments throughout the year. To make sure we can fit in the full coaching, training sessions are twice a week. You can check out the timetable here. At this age group the children learn a lot more about who they are as individuals as well as how the sport is played. We start coaching the players in tactics, team roles and individual roles; introducing complex practices such as a 4 players versus 3 players on a counter attack or 2 players versus 4 players defending the goal. Along with coaching the sport in more detail, we are also learning about the children, their goals and desires in life and as coaches help them to start pursing their dreams on and off the pitch. You can check out the timetable here. Although we want our children to gain a winning mentality from early on, it’s not until they reach the age of 14 or 15 that we really focus on going out and winning every game, as well as continuing to develop their game. Up until this point it has been about developing their skill level and understanding of the game. Now it’s time to focus on winning and being the best they can be. You can check out the timetable here.